Whenever Nik and I share a cup of this warming soup we always comment on how much we enjoy it. 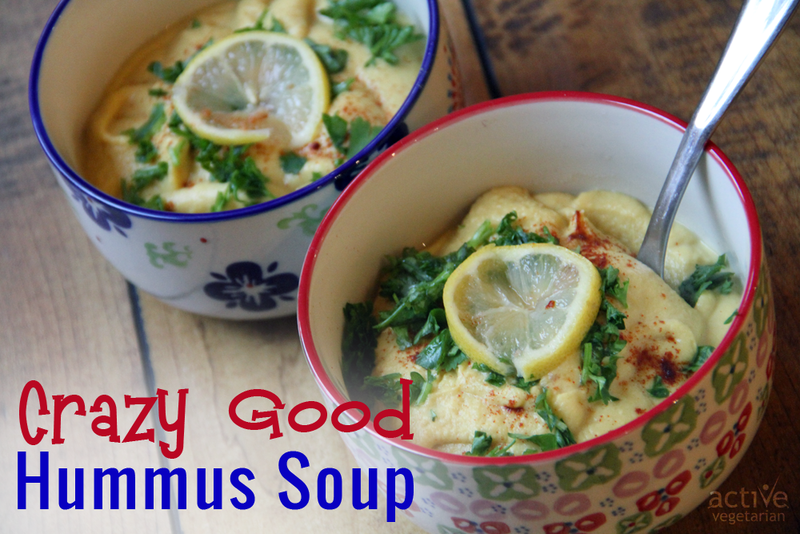 I honestly don’t know what took me so long to share this recipe with you!?! 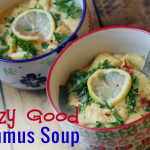 If you like hummus you will love this soup! Also it’s fairly easy to make so even if you are not experience chef no need to panic 😉 Your blender pretty much does all the work and we promise everyone who tries it will be impressed! If using dried beans: Soak beans overnight.Drain and rinse. Cook for about 90 min. In a large pot melt 1 tbsp of coconut oil. Add in the chopped onion and heat over medium for several minutes, stirring often. After a few minutes, add in the minced garlic and stir on low heat. Add in paprika, turmeric, salt and fresh ground pepper. Stir for another minute or two, careful not to burn, adding little bit of water if necessary. Now add in the chickpea, carrots and vegetable broth. Stir well and bring to a boil. Once it boils, reduce heat to simmer for another 15-20 minutes or until carrots are tender. Turn off the heat,carefully transfer soup into a high speed blender (vitamix). 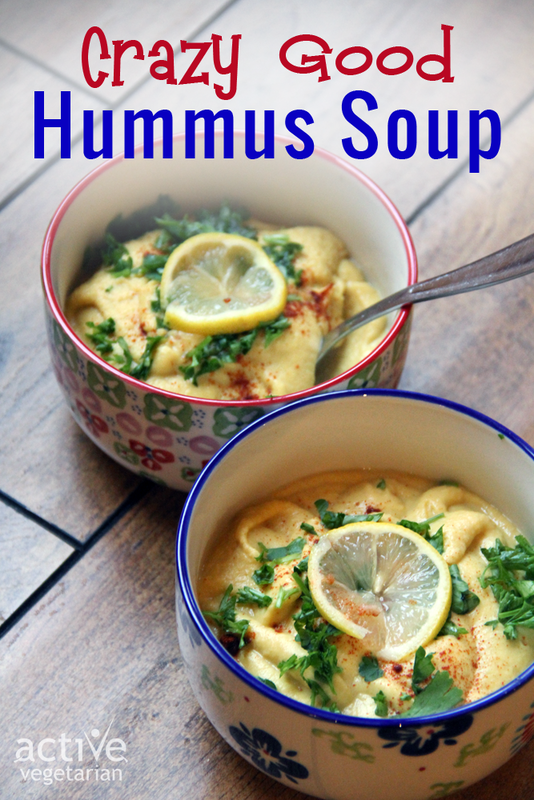 Add in tahini, lemon juice and lemon peel. Blend until smooth. Be very careful opening the blender as it could explode and splash you!